In 2016, I became an AVID stenciler! 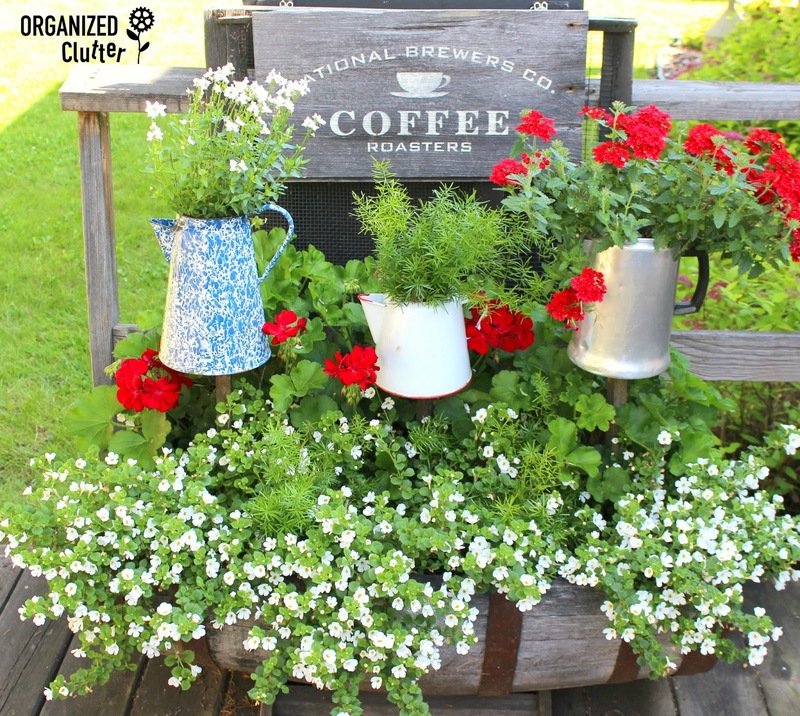 I stenciled signs like this "coffee sign" above three re-purposed coffeepot planters. See the details HERE. 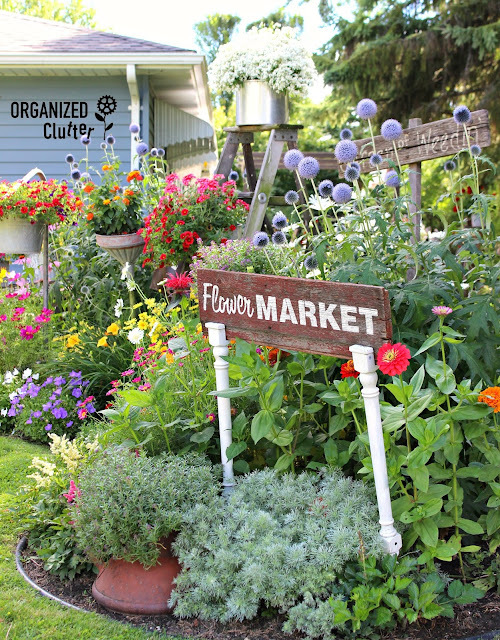 I also made a flower market sign on spindles. See that post HERE. 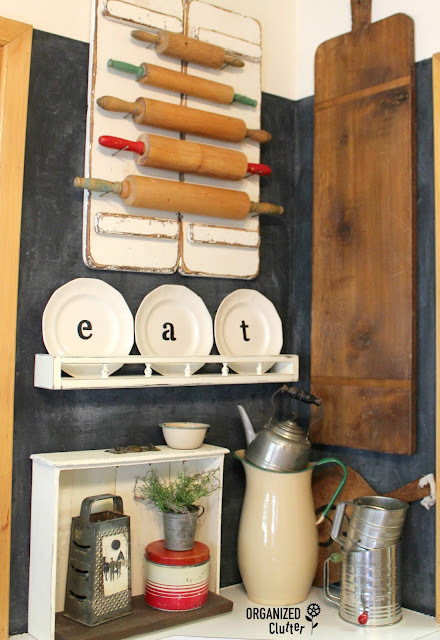 I stenciled on plates HERE. 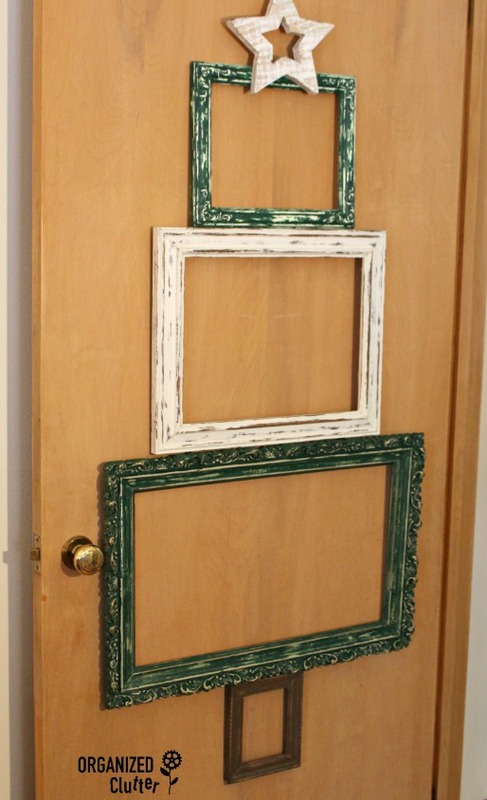 I also stenciled on window screens HERE and HERE. And on windows HERE. 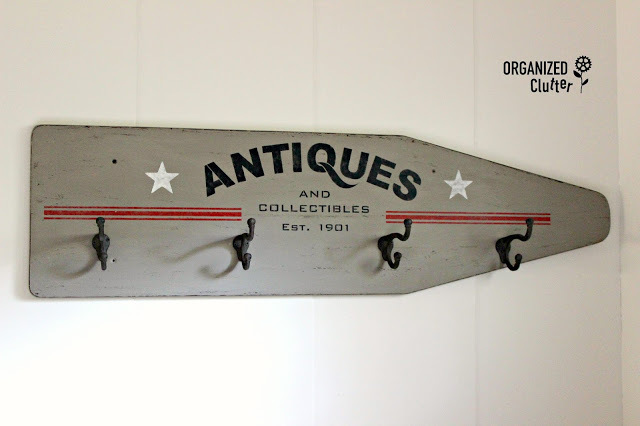 I stenciled on a wooden ironing board top and added hooks HERE. I up-cycled an old dresser for my daughter with paint and stencils HERE. 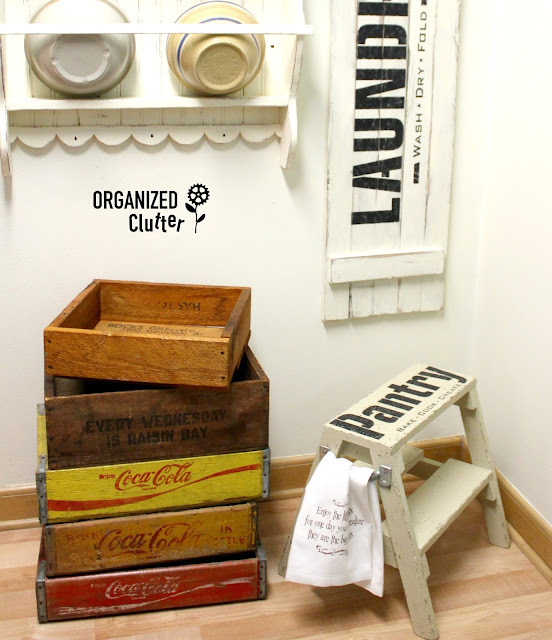 I stenciled a "Pantry" stool HERE, and upcycled an old sign with a "Laundry" stencil HERE. Most of my great stencils were from the professional designs of Funky Junk Interiors/Old Sign Stencils. I even used "Ski Lodge" stencils and vintage skis for an outdoor Christmas vignette HERE. Stencils showed up everywhere. 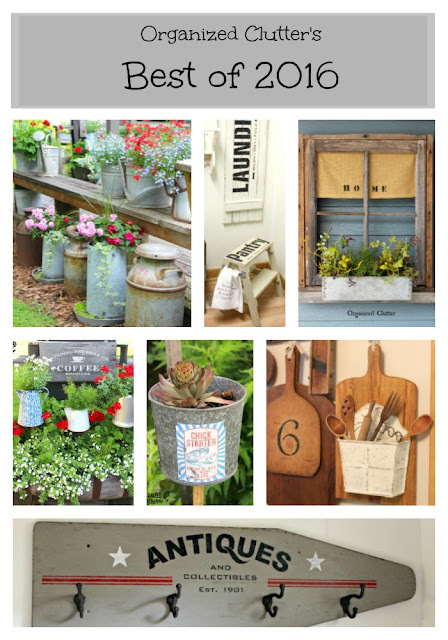 Stencils sure add fun and a farmhouse vibe to my indoor and outdoor vignettes. 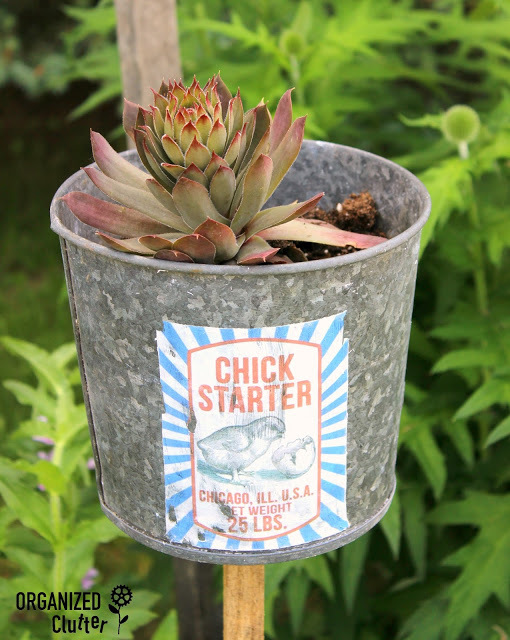 Another fun project in my Best of 2016 project group is a "Chick Starter" graphic from the Graphics Fairy Mod Podged onto a galvanized container. See the details HERE. Adding a Sempervivum (hen) to the pot is an intentional garden pun! My first junk garden project of 2016 was this window frame that I transformed into a rustic window box. See the project details HERE. 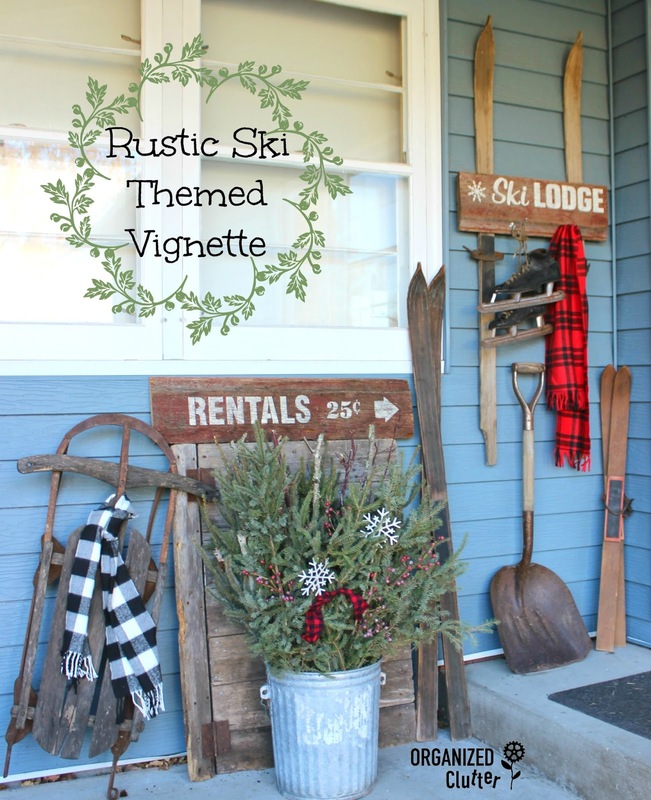 Before becoming a window box for the garden this old window frame was part of a Winter Wonderland mantel HERE. Click on the link HERE to see my 2016 junk garden tour! 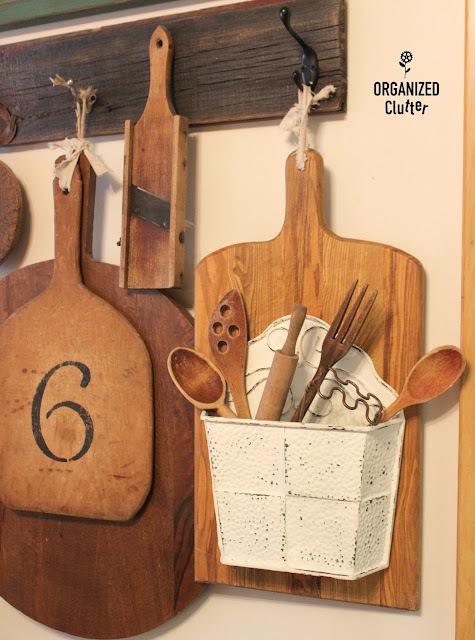 In 2016, I continued up-cycling and re-purposing cutting boards like this cutting board/wall pocket that works for utensils, Christmas greenery or cookbooks too. See the details HERE. I always have picture frames on hand from rummage sales and thrift shops. Frame Christmas tree details are HERE. 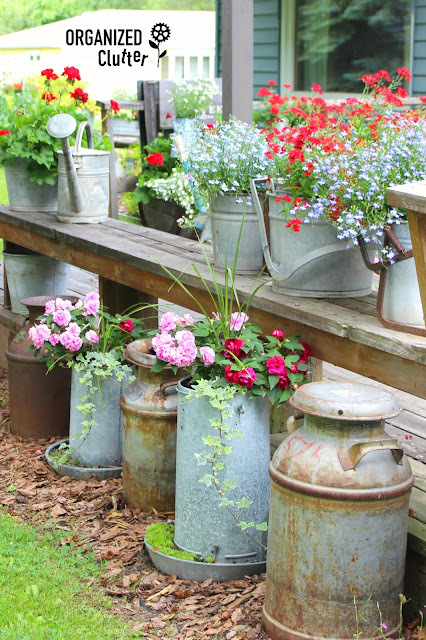 I want to thank everyone who follows or visits my blog from time to time to see my gardens and up-cycling and re-purposing projects! Hope to see you in 2017! Best wishes to you in the new year! I love your site and can't wait to see what you have in store for 2017! Happy New Year!! You have the best gardening junk projects around! Love all your creations and I'm looking forward to more in the year to come.